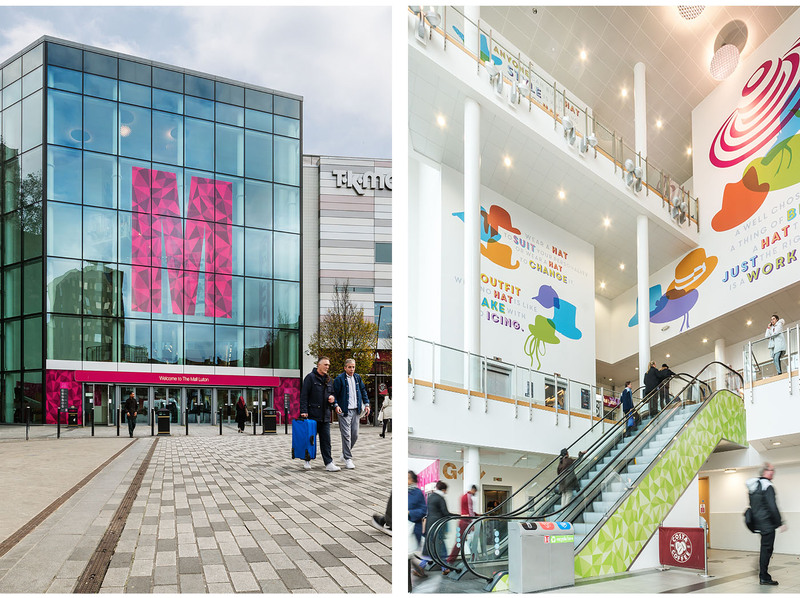 Environmental branding system for The Mall – a chain of community shopping centres across the UK. Simon Inc were approached by Capital & Regional to refresh the ambient graphics and overall look and feel within the Mall shopping Centres. The environmental branding and architectural graphics had not been updated for 10 years. The centres were looking and feeling tired, dated and inconsistent across the portfolio.. The chain was based across 6 centres with a total lettable space of over 3 million square feet. All are housed within buildings of differing ages and architectural styles. 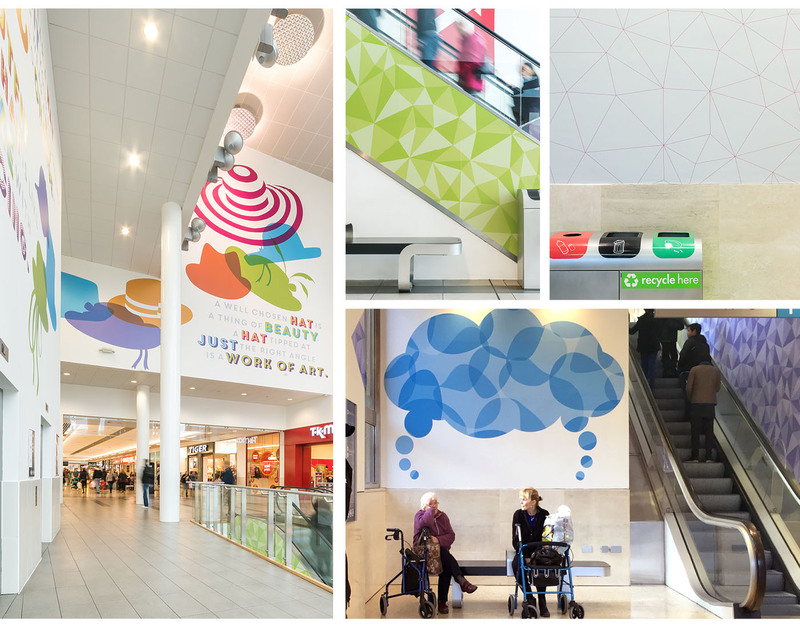 Our approach was to design an environmental graphics system to be rolled out across all the centres to create a bright and consistent look and feel throughout. As well as refreshing the overall aesthetics, the new design was to reflect a new direction that the strategic marketing team at The Mall wish to take the brand in and to give a cohesive and contemporary look and feel to the various areas throughout the shopping centres. The scheme was piloted in The Mall Luton. Each centre is also to have a unique local feature which is relevant to the town where it is located. the pilot for the scheme is at Luton, a town famous for being at the centre of the hatmaking industry in the UK, so reference was made to that in the graphics in the atrium at the main entrance. Further local references were included within the main Mall, where historically there had been a fountain featuring flamingos. The proximity to Luton Airport also provided a point of visual reference. 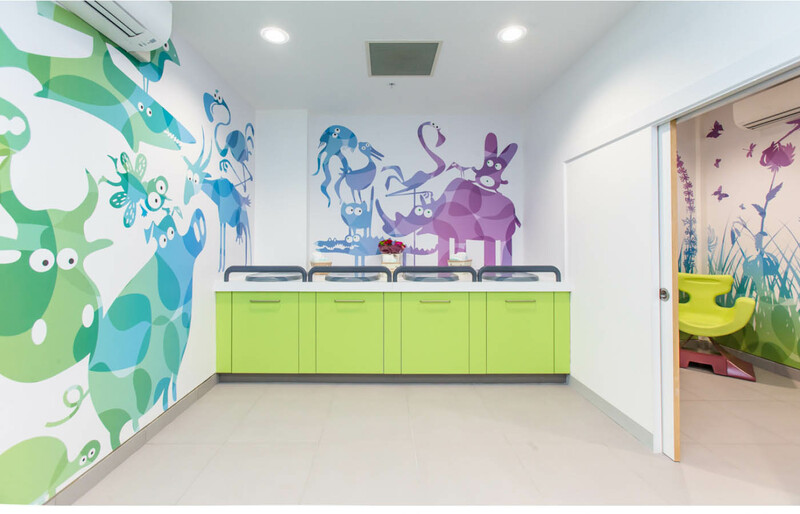 Part of the environmental branding involved designing a bespoke graphics scheme for the refurbished toilet toilet block, baby changing and feeding rooms. This including creating custom signage and wayfinding icons and symbols. 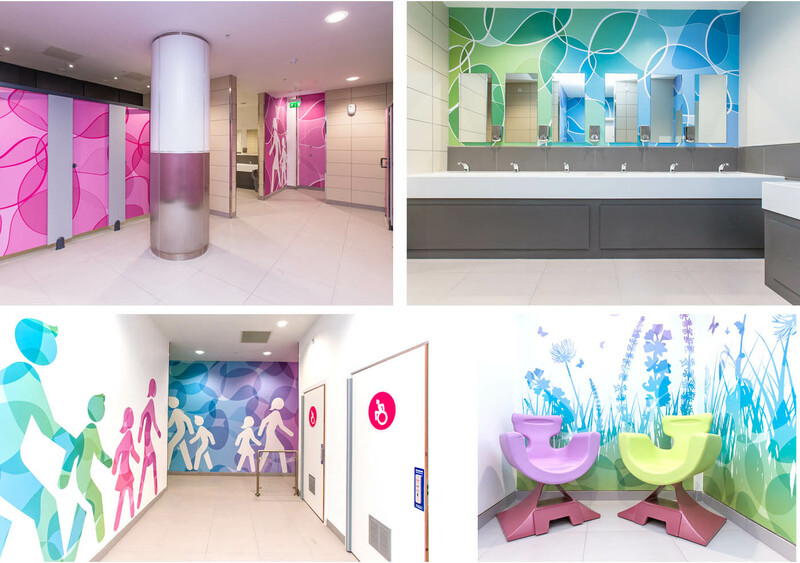 The completed facilities and graphics were awarded the platinum prize at the 2016 Loo of the year awards.